Dr. Monica White Ndounou is the award-winning author of *Shaping the Future of African American Film: Color-coded Economics and the Story Behind the Numbers* (Rutgers University Press). The book identifies the intersection of race, culture and economics as the critical site for determining the future of African American film according to narrative, production, marketing and distribution patterns of nearly 2,000 original films and cinematic adaptations featuring African Americans since 1980. She has received awards from the NYPL Short-term Research Fellowship (2015-2016), Tisch College of Public Citizenship (2015-2016), Center for the Humanities at Tufts Faculty Fellowship (2014-2015), The Schomburg Center for Research in Black Culture, Jacob K. Javits Fellowship (2004 - 2007) and an OSU Presidential Fellowship (2006). Her interdisciplinary research projects span a broad range of topics. 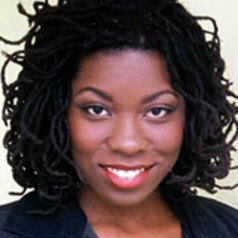 Her most recent publications include: "The Paradox of Acting for an African American Actress" in Consciousness, Theatre, Literature and the Arts, "The Nice-Nasty Politics of Fragmenting August Wilson's Legacy" in the New England Theatre Journal, "Encountering Black Culture in Acting Classrooms and Beyond" in Theatre Topics, and “Early black Americans on Broadway” in The Cambridge Companion to African American Theatre (Cambridge University Press). Her article “Drama for ‘Neglected People': Recovering Anna Julia Cooper's Dramatic Theory and Criticism from the Shadows of W.E.B. Du Bois and Alain Locke” in The Journal of Dramatic Theory and Criticism was nominated for the American Theatre and Drama Society's 2013 Vera Mowry Roberts Research and Publication Award. Professor Ndounou has presented the findings of her work at the following national and international conferences: The Comparative Drama Conference, the African Literature Association Conference, the Mid-America Theatre Conference, the American Society for Theatre Research Conference, Association for Theatre in Higher Education, the Black Theatre Network conference, the August Wilson Conference at the University of Maryland, and the Conference on Consciousness, Theatre, Literature and the Arts in the United Kingdom and the London Film and Media Conference. Professor Ndounou directed Ntozake Shange's For Colored Girls Who Have Considered Suicide When the Rainbow is Enuf in Spring 2010 and will direct August Wilson's Gem of the Ocean in fall 2016. Professor Ndounou is working on a second project consisting of a book, documentary film and digital archive exploring black American contributions to developing acting theories and practices. More specifically, it examines the role of double consciousness and cultural traditions in training, performance and behind the scenes, as well as the significance of the symbiotic relationship between black performers and audiences. Dr. Ndounou teaches courses in theatre, film, and cultural studies. She is also affiliate faculty for American Studies, International Literary and Visual Studies and the Africana Studies programs.